Warm-ups are not conditioning or technical drilling, although they can (and should) incorporate aspects of conditioning and drilling. Every Jiu Jitsu instructor at one point or another thinks about what the best warm-up for their students are. Some tend to stick with the same warm-up routine that their instructor taught, while others adapt the exercises used to suit their teaching style. But what is the basis for this decision? What makes a good warm-up for Jiu Jitsu specifically? The primary difficulty in answering these questions is that there are two or more things going on at the same time during what we call the warm-up. A warm-up, like the name implies, is enough activity to elevate the body temperature and prime the neuromuscular and cardiovascular systems for optimal performance. In Jiu Jitsu we tend to do elaborate callisthenics and skill-based drills for far longer than is recommended by sport scientists for an optimal warm-up, and we do it too far removed from our sparing to have it significantly improve performance during training. As a result, many Jiu Jitsu students tend to whine, mainly online, that warm-ups are too long. These complaints are usually accompanied by a variation of the statement, “If I wanted to do conditioning, I’d do it on my own time.” And, “I pay for Jiu Jitsu class, not conditioning class.” Is there validity to these assertions? As we learned in our first post in our series on Jiu Jitsu warm-ups – Most warm-ups of those surveyed lasted around 15 minutes, which is still in the range of the ideal warm-up length of most respondents. Additionally, fewer than 70% of students that responded do strength and conditioning training on their own time – and there is no way of knowing the effectiveness of their training routines. Of course, the students that respond to questions on Jiu Jitsu forums tend to be those with a higher level of interest than their classmates, so there is no available evidence that a true majority of students are training outside of Jiu Jitsu class. 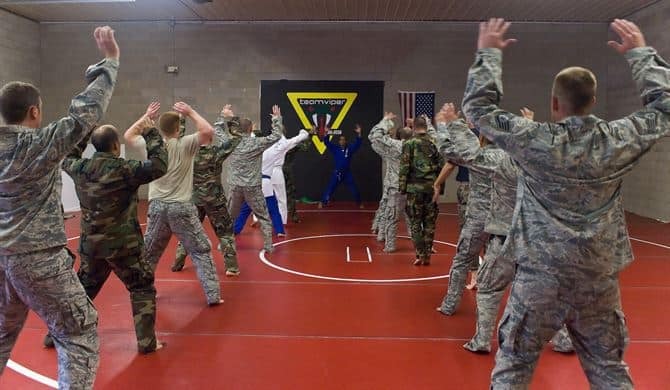 What some of these students may not realize is that the conditioning segment of the warm-up is an important component of learning Jiu Jitsu, although it can be abused by instructors who want to tire their students out “so they don’t use strength when learning technique” or who want to market themselves as having a tougher Jiu Jitsu class than other schools. While not the most exciting exercises, you can see that this warm-up follows the guidelines listed above. It includes full body movements that get progressively more intense and it only lasts for 5-10 minutes. Trust me, though, it gets you plenty warm in that time. Sometimes other exercises get mixed in like burpies, mountain climbers and jump lunges for increased intensity. The next type of the Jiu Jitsu warm-up is drilling. Technical drilling is not a warm-up at all, and therein lies some of the confusion. Drilling for a warm-up should not be overly-elaborate multi-step techniques that only use a fraction of your range of motion. Warm-ups can benefit from developing speed, stability and strength through an exaggerated motion that primes the body for increased performance during the technical portion of the class. Performing sport-specific drills follows the principal of specificity. The Specificity Principle states that exercising a certain body part, component of the body, or particular skill primarily develops that part or skill. Specific drills don’t have to simulate the exact sporting movement, but rather elicit adaptations that enhance the specific metabolic and or neuromuscular properties and abilities that are involved in the sport. Most sports involve movements that are ground-based, explosive, multi-joint, and multi-planar. Some Jiu Jitsu instructors do differentiate between the warm-up and the drilling segment of classes – others call it all the warm-up. The warm-up helps prime general large-muscle pathways for the subsequent training. Drilling helps build muscle groups to work together in a way that facilitates efficient technical movements. Think of the first time you tried to shrimp, or hip escape – it seemed like it was impossible to coordinate all of the subtle actions of the body. Now it’s second nature. That’s the benefit of drilling. Some call it muscle memory or motor learning. I feel drilling provides a good basis for hip movement through a range of motion that is greater than most Jiu Jitsu techniques require. This allows for increased hip movement speed and strength during technical movements. One of the things we also like to incorporate are gymnastics style exercises into the later phases of our warm-up. We mix them in with Judo and wrestling style warm-up drills. These are generally used to increase the ability of students to safely control their bodies during dynamic movements that take them from standing to the ground. Increasing mid-line stability and proprioception are the keys here. We can also use partners for some of our warm-up drills. Partner drilling is a way to introduce greater loads into your warm-up increasing the demands on student’s muscles and nervous system. Ideally these should be done in the later stages of the warm-up when the muscles and cardiovascular system are already primed to prevent injury. Partner drills can also be fun and serve as team-building exercises if competitive goals are introduced. Alligator walks, monkey walks, etc. There are many, many more solo and partner drills, but these are ones that I like to use regularly in my own training. Two resources that I’ve been using are Andre Galvao’s excellent book, Drill to Win – and Tony Pacenski’s Faixa Preta Series- Vol.1 Brazilian Jiu-Jitsu Partner Drills. Some of these drills get pretty complex, but I like to focus on simple, fundamental movements. Note that many of the drills listed are not techniques and are not really cognitively demanding. Although there’s nothing wrong with using basic Jiu Jitsu techniques as a warm-up, I prefer to have warm-ups be movements that compliment techniques by using a different range of motion that allows for the development neuromuscular pathways that will improve our ability to perform technically. Since technical drilling and conditioning are separate topics from warming-up I will cover them both in a future articles. We have already learned that warming up does have benefits to Jiu Jitsu practice and have now investigated what makes a good warm-up. 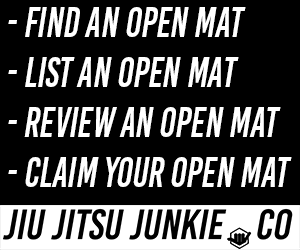 If anyone has any cool videos of good Jiu Jitsu warm-ups or ideas on warming up and drilling, let’s hear about it in the comments!